Here is a recipe that you can enjoy without the guilt! This super-moist pumpkin gingerbread is shaped into little balls and dipped in a chocolate coating. They are amazing. The cake will be very moist which will make it easier to shape the cake into balls. Spray a 8×8 baking pan with cooking spray and set aside. In a large bowl, mix the cake mix, pumpkin, almond milk, vanilla extract and sweet spice on low until ingredients are blended. Then increase speed to high and mix for 3 minutes. Bake for 40-45 minutes until cake tester comes out clean. Roll 1 tablespoon portions of cake into balls. Using instructions on package of chocolate bark coating, melt the chocolate. Stir in spiced cocoa (optional). 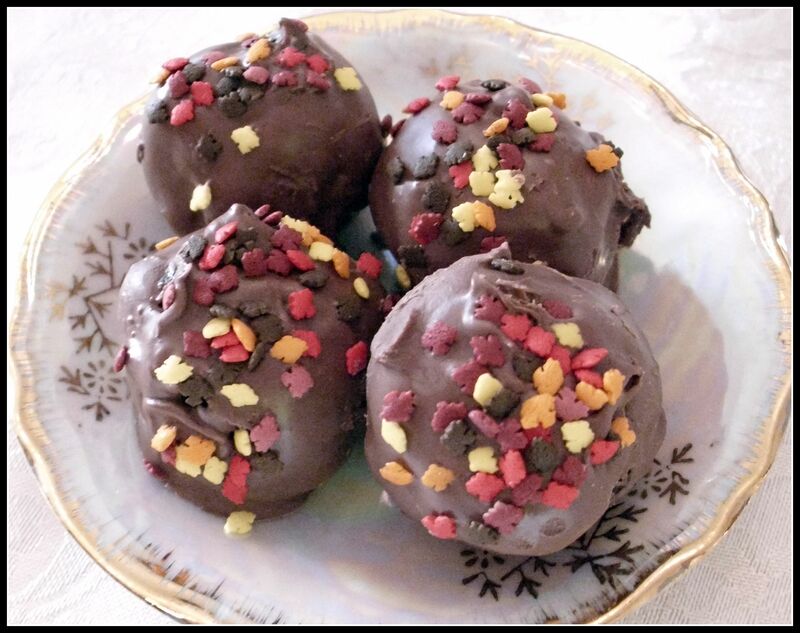 Dip cake balls into the melted chocolate and set on wax paper to harden. Decorate with candies or nuts. 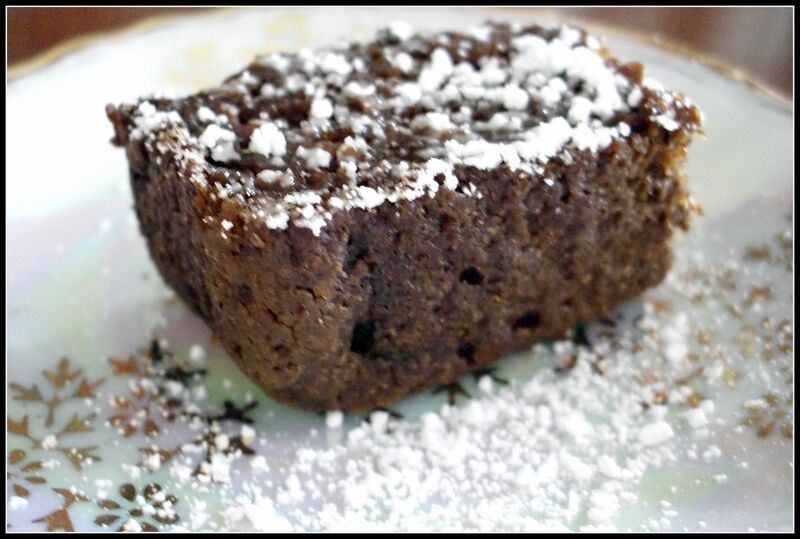 Blogger’s Comment: The cake is also very good on it’s own dusted with confectioner sugar or served with whipped cream.